MsDora, a four-year Alzheimer's caregiver, is committed to learning and sharing information about the role and the disease. Family caregivers receive too much advice and not enough help, and the advice can be wearisome. Having made that observation, we must recognize that many relatives, friends and neighbors are uninformed about the nature of diseases like Alzheimer’s and other forms of dementia. They mean well, but they are not really aware of the demands on caregivers, or the kind of help that caregivers need. When these well-intentioned individuals offer suggestions, they feel satisfied that they have made a contribution. Sometimes good advice for one situation is inappropriate for another. Therefore, hands on experience may be necessary to help assess the situation. Consider the following three illustrations of family members offering advice, when the caregiver wishes that they would offer help instead. This is an effort to create awareness, not to make persons feel guilty for not helping. Anyone can overlook an opportunity to be helpful, without having evil intentions. (1) The sister inquires from her brother, the caregiver, about their father. She learns that some daily living activities are now difficult for the old man, and that it has become more challenging for the caregiver to get his cooperation. She advises her brother, “Tell him ...” “Make him ..." The sister does not understand that the father's brain usually does not register what he is told, and that there is no way to make him brush his teeth or button his shirt. Instead of advising her brother to do the impossible, why doesn't she offer to spend a couple of hours interacting with him and their father, seeing firsthand what he is talking about and try to help? (3) “Make sure you take of yourself,” some family members say. “The caregiver needs to take a break.” What would help the caregiver carry out their advice is an offer to bring lunch, or take over her lunch preparations once a week, so that for one day, she could spend less hours in the kitchen. Physical disabilities in all ages. 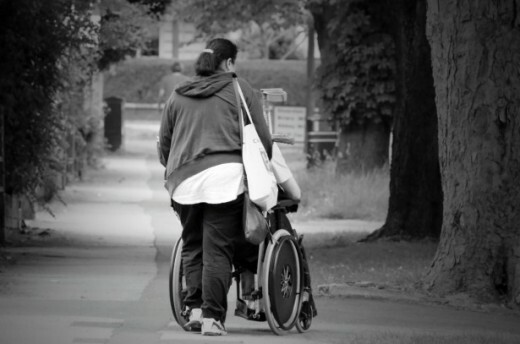 Caregivers, no matter the situations can always use a helping hand—anyway from feeding a child to offering respite care; and the best preparation for help in these varied situations is some basic training. The American Council for Health Education and Development proposes that training provides the basis for judging the care which is administered to loved ones. It also increases the chances that advice, when given, would be pertinent. FREE Family Caregiver Online Training offers 40 hours of interactive training, of which 25 is dedicated to Alzheimer’s and Dementia. It also covers other topics ranging from Emergency First Aid to End of Life Care. Alzheimer’s and Dementia Care Center offers 12 free e-learning workshops. Topics include Know the 10 Signs, Tips from the Latest Research, Effective Communication Strategies and Understanding and Responding to Dementia-Related Behavior. Give the caregiver a chance to vent frustrations, fears or whatever is the issue. Pay attention. Validate the concerns. Do not offer advice if it is not solicited; and if it is, weigh your words carefully before you say them. Communicate regularly and drop by often, not only to sit. If there are chores to be done—dishes to wash or floors to sweep or mop—offer to help in a caring manner; do not make the caregiver feel incompetent. Let the caregiver know that by assuming the role of caregiver, he or she is providing valuable service to the entire family. Say thanks for services rendered. Give honest commendation and ask, "How may I help" when you're tempted to offer advice. Sleeping in late one morning or just opening the curtains to watch the sunrise. Dr. Linda Ercoli, PH.D of UCLA Health reports that "when caregivers are happy with their social support, they feel less stressed. This in turn can benefit the people they are caring for. When a caregiver is supported ... there is a reduced rate of admission to nursing homes. . . 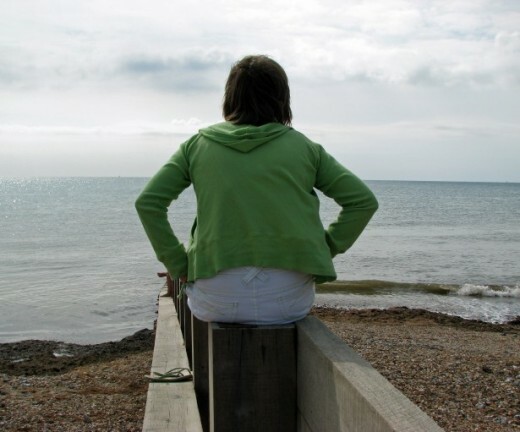 In other words, the caregiver can tolerate the situation better." Do you know a family caregiver who might need some help? No. I have other interests. No, but if I did I'd get involved. Yes, but I am definitely unable to help. Yes, and I will find a way to help, or to continue helping. Graham, the fact that everyone else is willing to help means that they do receive from you--cheer, inspiration--or whatever it is you are contributing. Thanks for your encouragement and for sharing your family's positive helpful attitude. Best to you and to them going forward! Hi MsDora. A first class hub from you again. I totally understand your words and feelings. I am a full time electric wheelchair user having a chronic muscle wasting condition. I lots of care which my wife undertakes without complaint. We have our daughter and her partner living with us as a full time loving family unit. Chores are shared as much as possible in that we are as one. My wife though takes most of the weight. It has to be said that life can be difficult for the wheelchair user seeing the effort made and not being able to help. Well said a first class hub all round. 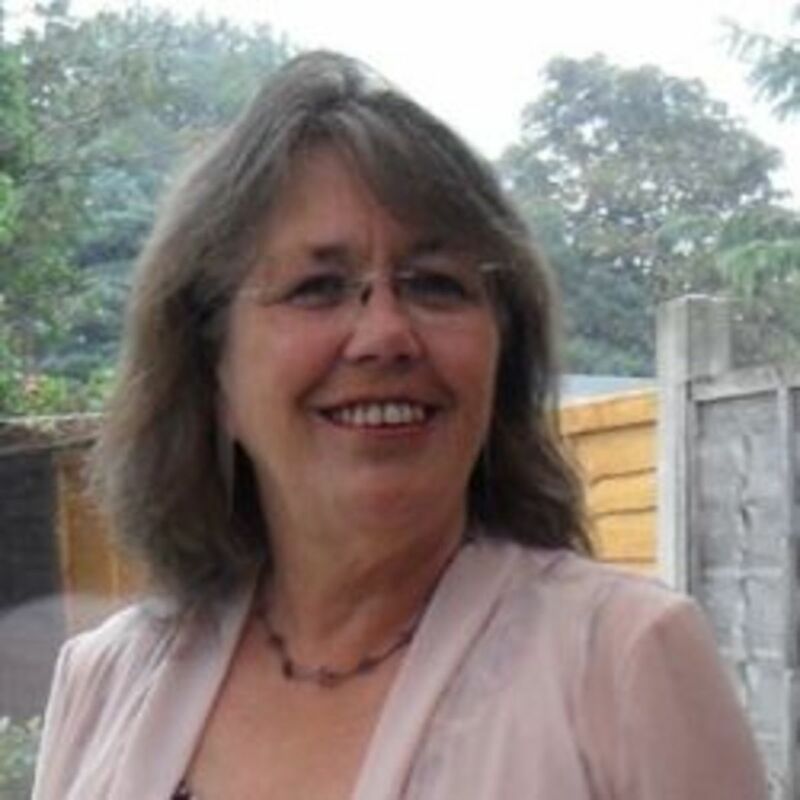 Patricia, so happy to have someone else support the call for more help and less advice. The judging is way out of line, and we the caregivers know that. Thanks for your input. O Ms. Dora....you nailed it. Advice often accompanied by judging someone who is a caregiver is not helping. I have been a caregiver more than once and more than anyone help was needed...not someone's ideas or opinions about shoulda' woulda' coulda'....you know? So elated, I have to make a note that this article scored 100 today. Thanks to everyone and everything who contributed. YeCall, God bless you and strengthen you for the great task you have, but I know that does not take away your need for human help! Hope that some help comes your way real soon. Thank you for sharing. This article is relevant to my life. My 21 year old son has Autism so I have been a caretaker all that long and now my grandmother with her age and blindness. Ahhh, stress! Your article is tailor made for me. Great article. Nice to hear from you, Faith. Thank you for sharing the article. Excellent hub here on actually helping caregivers! This article should be sent out to all families who are in this situation as it provides such sound advice that will actually help give some relief to the caregiver. Sharing everywhere in hopes it will help many! Laurie, thank you for sharing and may God bless you for the care giving virtues you extend toward your mother in law. Daily visits are a great demonstration of love and kindness. Yes, it's difficult and caregivers need much support. Happy that my articles touch you, and thanks for reading. Hi Ms. Dora! I have missed reading your hubs as they often directly hit home with me in one way or another. I have been a caregiver for my mother-in-law for some time. She's in a nursing home now. Her weight is too much for me to handle at home. 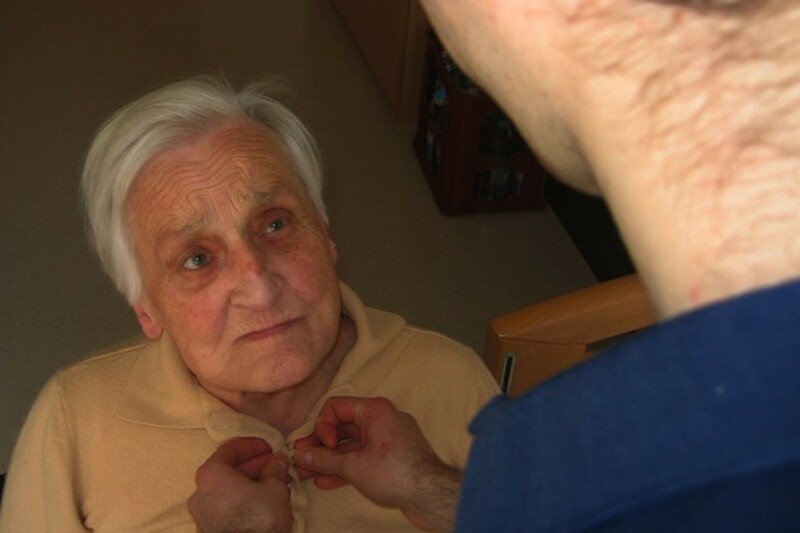 Even nursing home care requires much caregiving and on a very regular basis... Her health is fragile so I often go daily. It breaks my heart that there are so many elderly and disabled there that have very few, or any, visitors. I have lots of new little friends there now and they are a blessing! Thanks so much for bringing this topic to everyone. Caregiving is exhausting physically, mentally, and spiritually. Marvelous hub! Imelda, the advice is really getting to me now, and I think I will begin to catalog them. Thanks for understanding. Romeo, always glad to receive your always-encouraging comment. Had no idea you were also a caregiver, and I'm sure an effective one. God bless you! The concept of "Care for Carers" is needed everywhere--agencies as well as individuals. Thanks for your input. Good suggestive advice here MsDora; when offers of help aren't backed up and all the carer is left with is shallow affectations it kind of rubs salt in the wound of an already stretched caregiver trying to do their best under difficult circumstances. I took care of my own mother all last year and you're pretty much on your own really when it comes down to the nitty-gritty; more so if the recipient of your help requires more intense attention, as you well understand yourself. Love proves itself in action no doubt and if people kindly offer their help it would be a relief if they followed through from the verbal to the practical. It seems to have been recognized in the town I live in though as an agency called ' Care for Carers ' was set up a few years' ago to meet such a need as you have eloquently relayed. Another important and informative Hub article from you. Thanks to you, Rajan, for your very kind comment. Caregivers are encouraged by people who understand. Very fine suggestions to help out caregivers who really need a break to function better in a job that is of considerable stress. The words of Dr. Linda Ercoli, PH.D of UCLA Health sum it all up succinctly. Deb, the emotional conflict this lady had is common among those who really want to care for their loved ones, but finding themselves incapable to do it. Her guilt is understandable, but I hope she got over it. Thank you for your input. This really is an eye opener for the uninformed. I once knew a lady that was caring for her husband with Alzheimer's, but he became combative and too hard to handle. He was still a lot strong than she was and he turned the TV over. She had to place him in a facility, but she felt so guilty about it. Shauna, I couldn't agree more, but not everyone understands that. One of my relatives remarked that I should never request time way from my mother. Too silly to think about. Thanks for understanding. Dora, this is probably the best advice I've heard regarding helping caregivers. I think what they need most is time away from the constant nature of giving care. Time to be alone, or with friends. The caregiver needs some sense of normalcy and shouldn't be expected to sacrifice themselves entirely. That's a good way to burn out and become ineffective. Or worse - bitter. Frank, thanks for your encouragement. I appreciate your kind comment. Glimmer, thanks for your input. 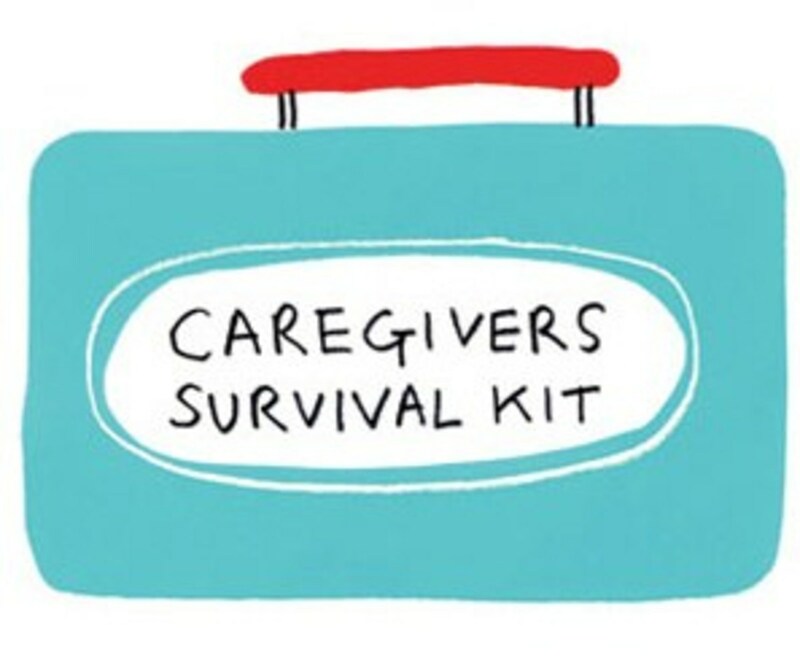 Yes, it can get really hectic for family caregivers who work at other jobs. It seems that caregivers have to make others aware of their responsibilities and their need for help. 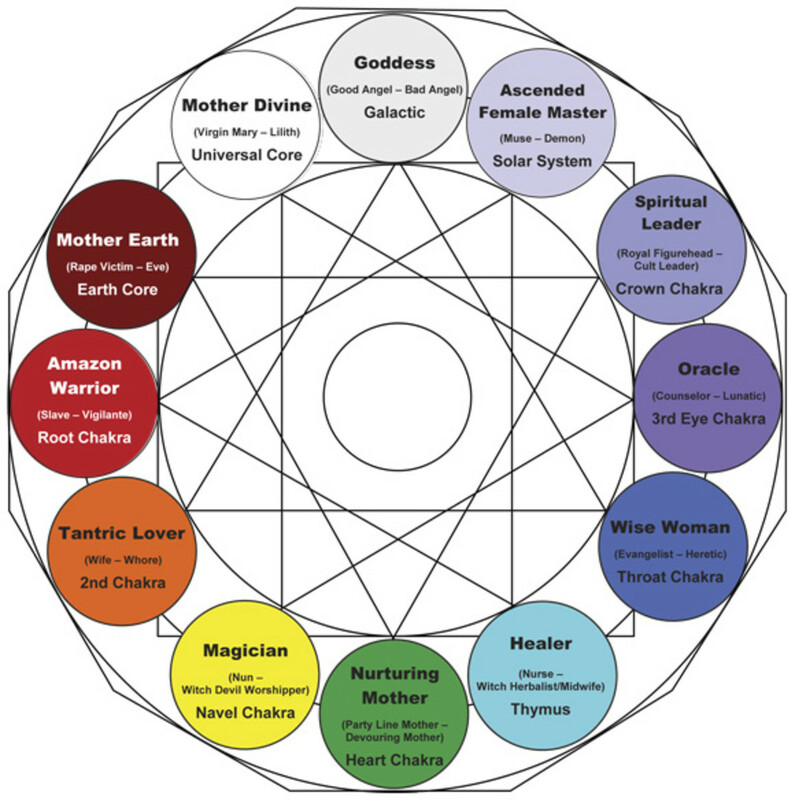 MsDora - This is a topic near and dear to my heart. My parents live in the independent section of a retirement community, but my father has many many needs and is currently in skilled nursing while he recuperates from an infection. It is definitely a struggle for caretakers. Missing work, continued stress and many other things. People often forget about the caregivers. Thanks for this article. Swalia, thanks for your contribution to the topic. It seems that family members in India are more sensitive and compassionate. Chitangada, thanks for your input, especially since you can relate. Hope we can all help. Caregivers are not very common in India as people prefer to take care of their elderly and the sick themselves. So I don't know much about it. But a great advice from you. A little concern and compassion goes a long way for sure. This is thought provoking and a very important hub! Patience and kindness is required for caregivers too. Many people give caregivers advice and suggestions but very rarely they offer to help or relieve them of some responsibilities for some time. I have cared for many close relatives and I can relate to it. Thank you for sharing your advice and I am sure it will help many people. Thanks, Sujaya. You encourage me. Audrey, thanks for your approval. I appreciate your support. Thanks, Alicia. Awareness, at the least, is what I'm hoping for. Some really don't realize what is involved, and how much help is needed. Pastor Bill, how hard is it, really! Still, only after being in the caregiver's shoe, would some of it realize it. Thanks for your input. Amen! Such a great hub! This is a very important hub that contains great advice, MsDora. I hope a lot of people read it and that it raises awareness. You've managed as usual to mix instruction and enlightenment with practicality. How hard would it be for some of us to offer help? I think your call needs to be heeded by all that read this. Thanks. Thanks, Marlene. Because you are someone who knows, your comment is encouraging. I know what it is like to spend months taking care of someone and not receiving relief. When it is something you do 24/7, even an hour here and there is appreciated. Your hub gives excellent advice for people to consider when offering to help the care giver. Jan, thanks for your input. Seems you have had your full share. Glad you got some help. Best to you, your family and your husband's family going forward. This is excellent, MsDora. I can relate from the caregiver point of view as I cared for my sister who recently passed of breast cancer, immediately followed by being caretaker for my 91 year old father after brain surgery. Brain bleed was discovered day after sister's funeral so we have been through it. He just left my house day before yesterday to return to his home in Buffalo. I can truly say that the friends and family who brought food, offered rides, visited, and said prayers really made a difference. My hubby and sister-in-law are caretakers for their mom so we are all experiencing it together. But I do need to visit her more now that my dad is better. Thanks for the challenge and for the very informative article. Devika, thanks for your continual support. I appreciate you. Natha, thanks for your input. True, help outdoes advice in many other situations. Jackie, I know you would. Yes, there's something uniquely special about mothers; we are privileged to understand that. You encourage me! Nell, your brother really needed the help instead of the advice overload. So sorry about that; hope he recovered fully. These non-helpers should hear your story. Thanks for your input. Hi MsDora patience and kindness is required in such cases. A great article on this unique topic. Spot on. I take care of my Mom who has dementia and definitely prefer actual help over advice. Of course, information in this article applies to many contexts, not just the caregiver situation. It is a good feeling Dora and I would still be doing it if it were possible. I loved my mother beyond words and I know that you understand that love. Word, keep up the good work. I bet I could count on you if you were in my neighborhood. God bless you! Manatita, I thought I'd do some personal confessions, but it turned out that there are other caregivers who share my need for help. Thanks for your encouragement. Denise, glad you and your brother cleared that up. He is encouraged when your calls tell him that he is not alone; that you care. All the best to you, your dad and all the rest of the family going forward. Dr. Bill, the purpose of this article is make readers aware that help for the caregiver is often overlooked. Thanks for affirming that it is indeed an important topic. Lori, thank you for your encouragement. God bless you, too! Another good word from you Dora, I sort of help out a couple of seniors. I do what I can do: not too much not too less. I do what I can without going overboard in my duties because if I do then it can get stressful. I don't have high expectations. Again, I just do what I can do and I'm admired and respected for what I do. I am not going to be overbearing on anyone because the elders cannot help what has overcome them. I'm sure you are doing a wonderful job with mom and that's all that counts. A very difficult one and a well-recognized need for support and respite. Some get this and some don't. Who knows why? My empathies to you on this loving bur sometimes tiresome journey. Your story is not an unusual one when it comes to receiving help. Alas! This is excellent! My father is now living in the home of one of my siblings. Although they are several states away, I have been phone calling on a regular basis. At first, I was afraid to call, thinking that I would just be a bother, but I wanted to visit with my father. When my brother found out about my reluctance, he let me know that it was no bother, and that both he and my father would welcome my calls. After reading this article, I now understand what I can do with those phone calls to be a help rather than a hindrance to the situation. Thank you, so much, for sharing this important and useful information. You do understand how important it can be. This was indeed a much needed and practical article. God bless you for what you do. Sally, "only a little kindness and a little time to really make a difference." hat's exactly what I want readers to learn. Thank you so much. Ron, human nature is a mystery. Why other family members feel that they're exempt from helping doesn't make sense, but it's the truth. Thanks for your input. So Jackie you can relate. Of course, there are others who can lend a hand, and we wonder what they're thinking when they don't. What's important now is your satisfaction that you made your contribution. It's a good feeling. Thanks, Bill. I appreciate your understanding heart. Chantelle, thanks for your kind comment. Hope your family gets all the help you need with you dad. It's not easy, but it's doable especially when everyone pitches in. Jodah, thanks for your affirmation. All the best in your caregiver situation; low level or high, you're an important part of the life equation. Wonderful article. As someone who helped care for a lady with dementia for several years, I do know how much it means for those doing the caring to take a break or have some time out. I hope this article touches lots of people to reach out, to give at least one person a helping hand. It takes so little, only a little kindness and a little time to really make a difference to someone. You are in my thoughts. Great piece, MsDora, and much needed. My observation is that when one member of a family takes on the caregiver role, other members often feel totally relieved of any responsibility. They leave it all up to the caregiver except, as you say, for giving (usually unsolicited) advice. And then they often have the gall to get upset that the caregiver is not doing even more! Well this one is certainly close to my heart Dora; having cared for my mom so many years by myself and the only long break (one week) I got when my sister took her home turned out to be a nightmare when my mom came back having not had her medicine in days (the whole week?) disoriented and maybe close to death, who knows? I got medicine in her and to the doctor the next day but I never trusted her to be in anyone's else's real care after that. There were many in the family though that could have come taken Mom out to eat and spent the day with her giving me some much needed breaks and time for myself yet this only happened once and I was forced to go too I suppose because people who don't take time to get to know this new person who is their parent, fear them. Great article I hope many read. I fell in love with the title of this article...the article was an added bonus. :) God bless the caregivers of this world. We are going this exact situation right now as my dad has dementia. It is not an easy process for any of us. People do love to tell others what to do when the simplest way to help would be to just volunteer your time. This is a very important article and I'm so glad you wrote it. Eric, you are a very thoughtful person, and I can understand your desire to be more helpful. Thanks for your prayers; they help. This is a very important article MsDora. Many people give caregivers advice etc but very rarely offer to help or relieve them of some care responsibilities. I am a caregiver but I am fortunate it is only low level so it is not too stressful. Thanks for sharing. Marvelous article. You really got me thinking about life in general not just caregivers but just friends and family. I have got to do less talking and do more doing. I feel so inadequate just talking and listening to my long distance friends who are caregivers -- I should do more close to home. Thank you and know my prayers are with you.